Yesterday, Huffington Post released a story that re-hashed the equation that Tall el-Hammam may be identified with biblical Sodom proposed by S. Collins. While there is nothing new to report from the story and Todd and Bill Schlegel have clearly illustrated many of the difficulties with this identification, I would like to take it a step further and point out an additional geographical/toponymic problem with the Tall el-Hammam = Sodom viewpoint. Simply put, there appears to be good toponymic evidence for the traditional references to "Mt. 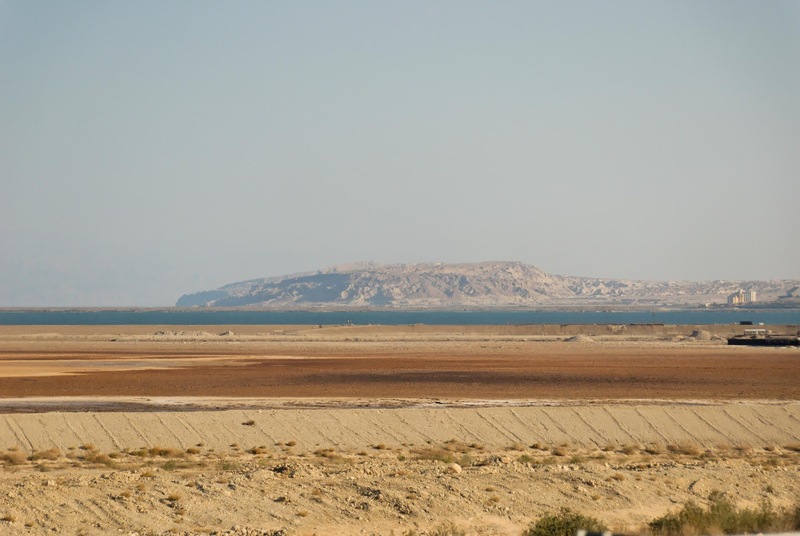 Sodom" that is located on the southwestern side of the Dead Sea. Researchers may be unfamiliar with this evidence, because it is absent from both the well-known Survey of Western Palestine Maps (which did not survey this part of Palestine) and the later British Mandate Map of the Negev prepared by S.F. Newcombe. In fact and somewhat ironically, this area is a bit of a black hole in the early cartographic sources of 19th and early 20th century Palestine. However, at least two sources clearly show the name "J. Usdum" in the area that is commonly referred to as Mt. Sodom. One of these sources is the lesser known map of Arabia and Petrea prepared by Alois Musil in 1900, which can be found online in three parts here. The other is a very important map prepared by Charles Van de Velde that includes the mid-19th century explorations of Edward Robinson and Charles Van de Velde and also shows the name "Jeb. Usdum" on the rocky scarp above the western shore of the Dead Sea. 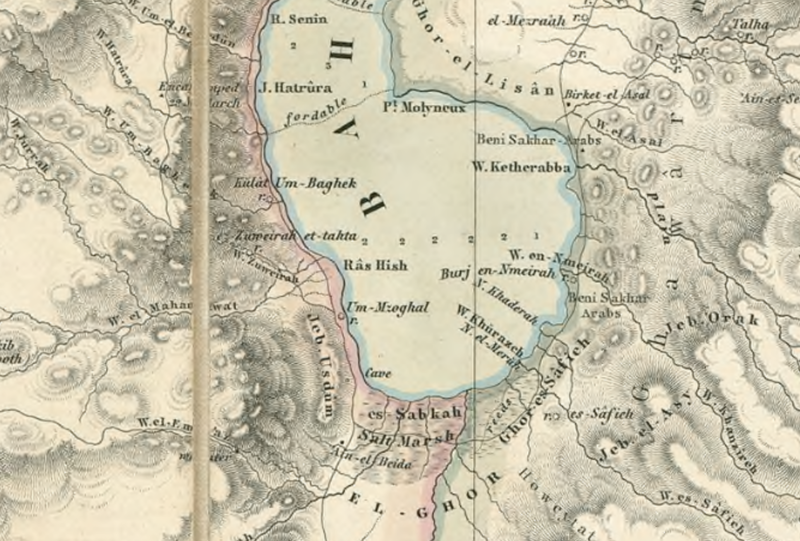 To those unfamiliar with Arabic toponymy and its relation to biblical place names - Jebel Usdum would seem to clearly preserve the name "Sodom." The toponym's proximity to the southern candidates (e.g., Bab edh-drah, Numeirah, etc.) 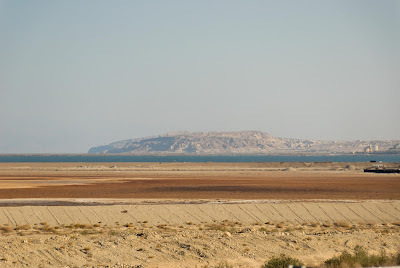 would at least plausibly connect them to the cities of the plain or perhaps to destroyed and then submerged cities within the Dead Sea (as originally suggested by Albright 1924:2-12). This connection finds further support in Eusebius' description of the "Lasan" (Hebrew = Lisan [tongue]) that he describes as being "near Sodom" (Onom. 120.3). 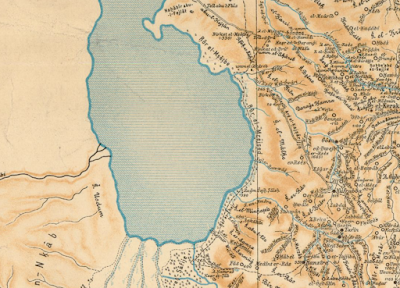 The Lisan is the boundary of the promised land below the Dead Sea (Josh. 15:2). In light of this evidence and regardless of one's opinion regarding the historicity or chronology of the patriarchal narratives that mention Sodom, the occurrence of Jebel Usdum on the southwestern shore of the Dead Sea together with the early Christian witness to Sodom near the "Lisan" would seem to be (more) compelling evidence that Sodom and the cities of the plain should be located on the southern end of the Dead Sea. Albright, W. F. 1924. The Archaeological Results of an Expedition to Moab and the Dead Sea. BASOR 14: 2–12. That's great, Chris. If Eusebius locates Sodom near the Lisan, that's really tough to counter. Thanks. Wayne - thanks. :) of course there are other options... Eusebius could have been wrong. And his "Lasan" may be a different site - as it comes from Genesis 10:19, but in my opinion it matches very well with the "Lisan" of Josh 15:2... In any event - even if it is a reference to a different site, one still has to account for the almost identical forms of Usdum and Sodom. Good point. Something else to consider when trying to locate Sodom. Find Zoar. If one finds Zoar, the "near" and "small" town to which Lot fled (Gen. 19:20-23), one is close to where Sodom was. 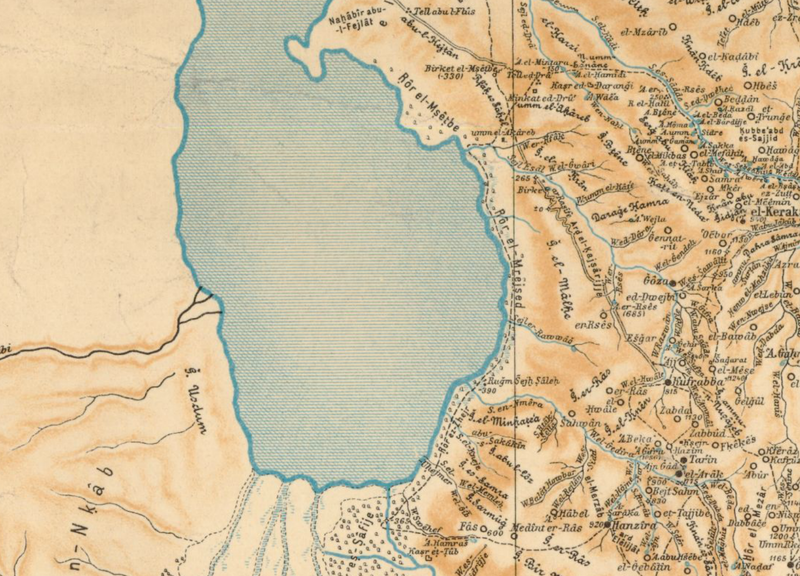 Considering biblical references and Josephus, Zoar was on the southeast side of the Dead Sea. Zoar is mentioned by both Isaiah (15:5) and Jeremiah (48:4, 34) as a place to which Moabite refugees fled south. The battle between Judah and Edom at the site of Zair (from the same Hebrew word as Zoar, 2 Kings 8:21) likewise places Zoar south. 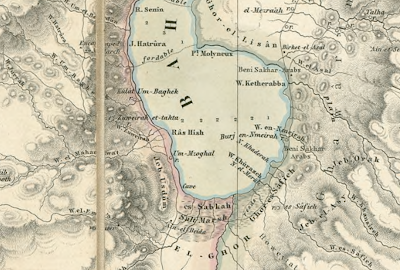 When Josephus described the Dead Sea region in the 1st century, Zoar was located on the southern side of the Dead Sea (Wars 4.482, in Whiston IV.8.4). Bill. Agreed - I left this out because you had mentioned this elsewhere. Although I did come across this interesting earlier witness to Zoar on the southern side https://archive.org/stream/palestineundermo00lest#page/292/mode/2up (via Anchor Bible Dictionary - Zoar entry). It says very clearly that Zoar (preserved in the 14th cent AD as Zughar) was located on the south side and 2 days journey from Jericho.